Can you believe 2016 is right around the corner? I am sure I rolled my eyes growing up when I would hear adults talk about how fast the years go…but man, they were right! A new year means many of us are working on New Year’s Resolutions such as deciding to live a healthier life by starting a new weight loss program. I have missed you this week. You may have noticed the reduction in my posts. We have grandkids and kids visiting for Christmas and so I know you understand when so much of my time is being spent having fun with them. Meanwhile, I wanted to leave you with a few tips on getting prepared for the new weight loss program we are starting here Jan 4. We have a couple of weeks before the program starts…is food a free for all right now? Not really. I have said it before too – my diet starts (fill in the day) and until then I am going to pig out. Not a good idea and I will explain why. What I have realized in the past few years is healthy starts with a mindset change and it’s not a switch to turn on and off as needed. Mindset changes are never ever an on/off switch – no matter what the change, so weight loss and healthy living won’t be the exception. 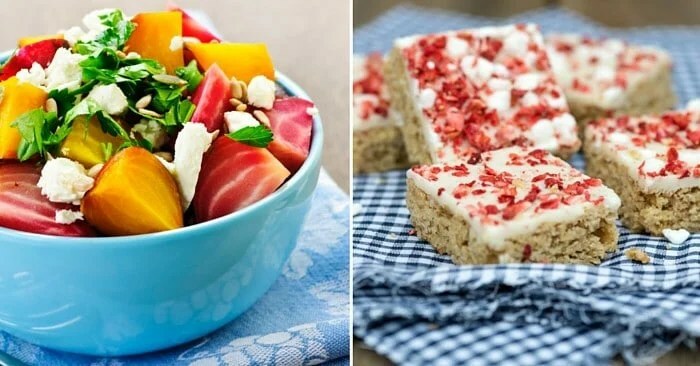 Weight loss tip: You won’t get healthy and fit if half of the week you are indulging in the “forbidden” foods and the other half eating carrots and celery. So what’s a mindset change to being healthy really mean? 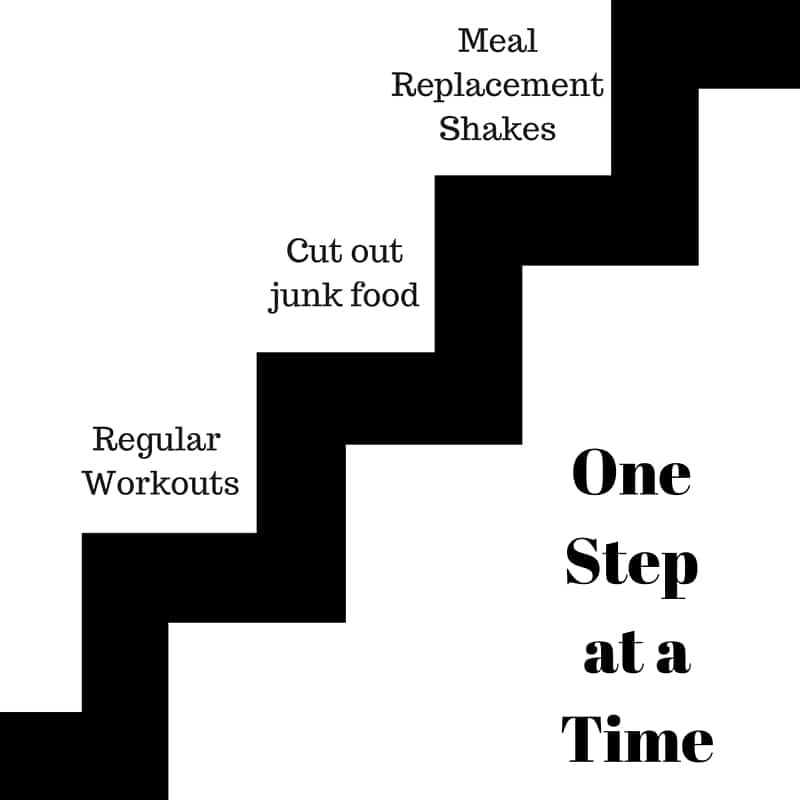 For me, it was like climbing a flight of stairs with each step moving into a healthy lifestyle. With each step, I would leave a habit or unhealthy craving behind, and adopting a healthier choice. Our steps may be a little different and you may linger on a particular step longer than others as you adjust to your new lifestyle habits. And guess what, that’s ok. Take your time, move at your pace – be reasonable about it though. If you move too quickly, you could very well fall backwards to the bottom of the stairs, so to speak. I realize the holidays are here, which mean treats and big dinners. I am not going to completely abstain from them and you shouldn’t either. What I will do is exercise portion control and provide balance to what I’m eating. Julianne Hough agrees – portion the bad foods and balance with lots and lots of greens and proteins! Water should be the beverage of choice. Have you ever noticed how many empty calories you consume when you drink anything except water? If you aren’t sold on drinking water, try some of the naturally sweetened or no sugar added flavor packets to your water. There are a lot of great varieties available and they can really help you transition from sodas or your beverage of choice to water. Another great step prior to beginning a new workout program would be to see your doctor. If you haven’t seen your doctor recently, you should get a check-up before starting a new exercise and a new weight loss program. If it’s been a while since you have exercised, begin walking or some type of light cardio work. The cardio is one of the most difficult things about getting back into shape. Taking some time now to build up to it could make it a little easier for you when starting a new weight loss program. Make sure to get enough sleep, if you don’t already. Sleep is very important to weight loss and being healthy. Start now and your body will be that much more prepared for the new routine in a couple of weeks! Don’t starve yourself. Contrary to popular belief, weight loss is NOT about starving. So now you have a few things you can do to ease yourself into a New Year’s Resolution of weight loss and healthy living to make the adjustment less abrupt. It’s not an all or nothing…it will be a lot of compromises to start. Remember to take things one step at a time, too many abrupt changes can be too overwhelming and discouraging. I am so excited to start the 30 Day Fitness Challenge for Women Over 40! So many of you have already signed up and are excited to start the new weight loss program for women over 40! If you haven’t signed up, there is still time! It starts January 4. Look in the upper right section of this page to sign up. The workout calendar will be going out via email in about a week, so subscribe today so you won’t miss it! I have been looking for some weight loss programs that I could join so that I could feel more confident about myself. You made a great point for me to remember before I join anything since it could affect how I feel about a program and how I should not starve myself since it is not all or nothing, but compromises. Thanks for the great advice for me to keep in mind about weight loss programs.